The current status as well as some future prospects of the NSS project were discussed with researchers from YONSEI University in Seoul. YONSEI is the oldest university in Korea and has positioned itself as a major research institution in the country. YONSEI ranks No.1 according to per capita research funding of private universities in Korea, as well as 129th in the 2011 QS World University Rankings. Since network effects in social media constitute a major research area of Information Systems researchers at YONSEI, launching a cooperation in the NSS project is a very interesting research prospect. In particular, strategies and tools for analyzing user generated content in social media in order to enable new business models for companies were discussed. As a subset of this field, the meeting focused on the topic of Social Business Intelligence (Social BI). In a recent paper, we define Social BI as a systematic approach of raising aggregated consumer opinions, preferences, etc. on social media, analyzing the data, and finally deciding upon strategic activities or direct engagements in the user communities. But also in the area of recommender systems in the B2C as well as the B2B realm, consecutive research prospects can be identified. 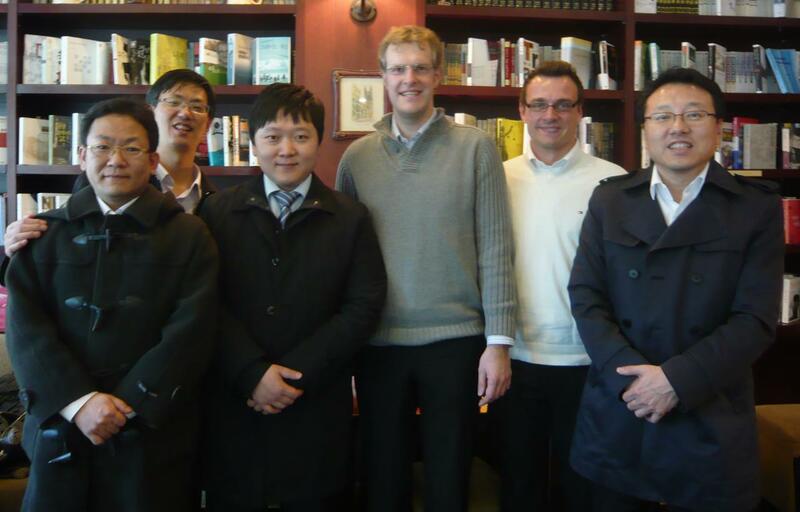 In order to further frame and exploit these opportunities, we plan to launch a series of research visits to YONSEI in 2012, funded by the NSS project.